What is it that you love to eat out of a tin? Spam? Herring and spam. Beans, spam, spam, and spam – that’s not got much spam in it. Well good news tin lovers. There is a growing trend of cocktails in a tin and just in time for the long weekend and the royal wedding. How’s this for a long weekend treat in a tin … vodka, soda, gin, tonic, lemon, pomelo, and cucumber walk into a bar …. First, Muskoka’s Docker. It’s a G&T made with Muskoka’s Legendary Oddity Gin [which i honestly can’t believe i haven’t blogged about] and a little cucumber and lime. This drink is officially declared “divine”. “Sweet baby Bacchus” divine. Available at most LCBO stores, it’s a responsible 4% AVB, and endorsed by every single gin drinker in the world. Rumour has it that Harry and Meghan love it. SocialLite continues their contribution to the world of tinned cocktails with a new Vodka and soda this summer that kinda makes me mad that i didn’t think of marketing this and getting rich. Zero sugar and Zero sweetener is their mantra – or at least part of it – i think their real mantra is “why are we making stuff so good to drink”. This summer’s flavours are Lemon Cucumber Mint and Grapefruit Pomelo. Remember, there’s also Vodka and Soda – a combination as old as creation itself. Get ahead of the #trending curve and bring some tinned cocktails to a cottage or a party near you this summer. All the cool kids are doing it [i.e. Harry and Meghan]. Instead of writing about Canada Day i’ve turning this wine blog into a photo blog. It really is easier to write than using my words. Lunch at Artisinale – French rosé and Tawse Riesling with our first course. Crêpe and Calvados for dessert. Dinner BBQ at home with Muskoka 20th Anniversary Cream Ale aged in Oak. Camping is not really a family activity for my family. I’m often reminded that my wife’s idea of camping is a nice Bed and Breakfast, but truthfully she prefers a 4-star hotel when camping. 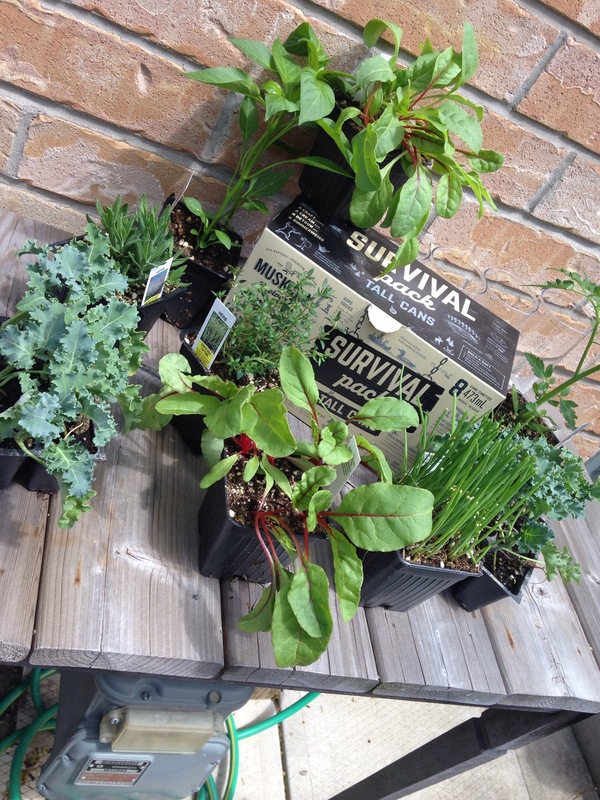 So when my daughter M and I decided to plant our micro-farm this long weekend [really it’s just a tiny garden] i thought that since we were going to be outdoors all day a survival pack might be helpful. Truthfully i’m a lot more “outdoorsy” than i’m letting on but let me run with this okay. The Muskoka Brewery survival pack comes with 8 cans of four different Muskoka summer products – the dry hopped Detour IPA, Summerweiss – a sessionable wheat beer, Cream Ale – their signature ale, and Craft Lager – quaffable with a surprisingly flavourful finish. See how they fit in so well with my suburban wilderness [I know, they’re seedlings on a table in my backyard]. 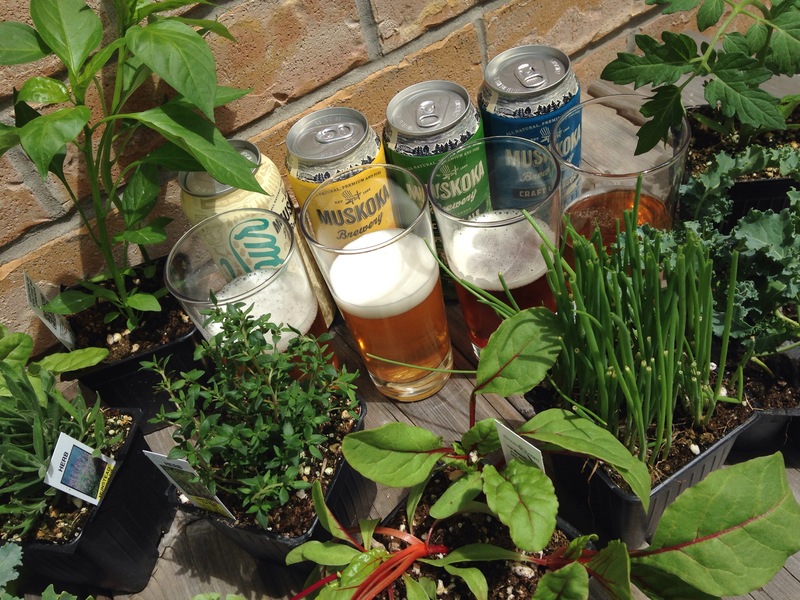 So some gardening, sorry microfarming, with my daughter, some drinking of the survival beers, and a couple hours in the sun later we were both hydrated [at least], satisfied because our hands were dirty, and feeling pretty smug [we both do that well] about the entire thing. 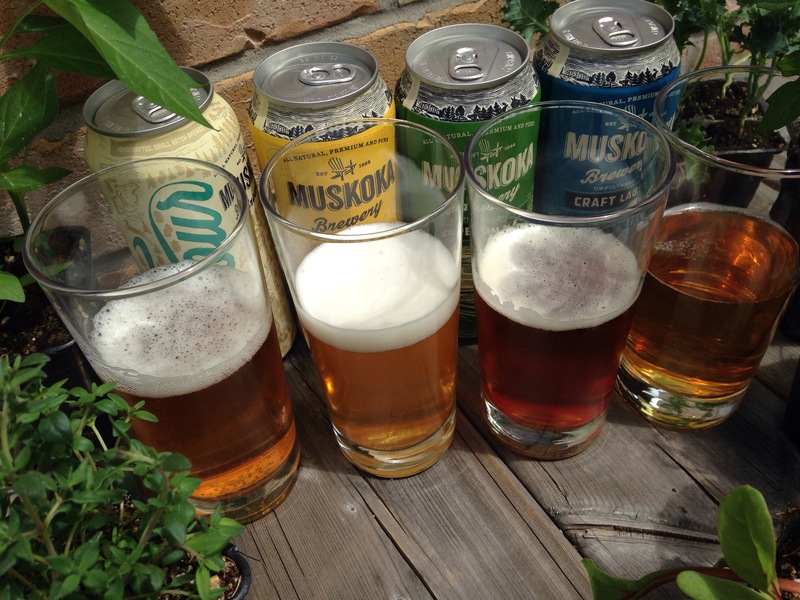 The Muskoka Survival pack is available at the LCBO and the Beer Store starting this weekend. Two for the price of one. Truly one of the great deals in the world. Perhaps only to be topped by the “gift with purchase”. I am one of those people who consciously allows myself to be taken in – suckered if you will – by a great marketing campaign and I love it when the product is equally as brilliant. The craft beer industry has caught my attention again. Fighting the urge to market themselves using slow motion cheerleaders or enormous horses playing football, the micro brewers carve out their own niche in a more personal way. Of course they do – they are real people. Often with wicked cool beards. 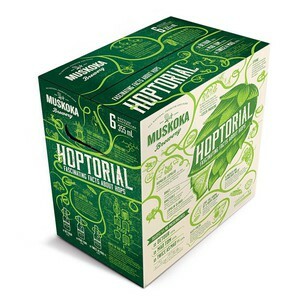 The latest to catch my attention is the Hoptorial pack from Muskoka Brewery. Great beer, clever marketing, and a Hop tutorial – I love it when my 2 for 1 becomes a 3 for 1 and the “gift with purchase” is educational! The box is covered with facts about the beer, the hops, hops in general, and some general foolishness [my favourite kind of foolishness]. 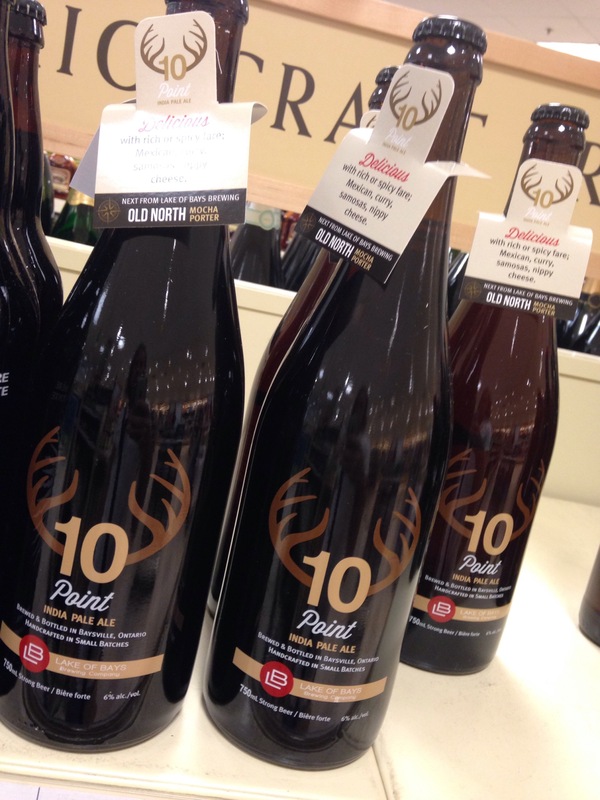 Available at both the LCBO and Beer Store you get 2 Detour, 2 Mad Tom, and 2 Twice as Mad bottles for $14. Delicious and educational. Ha – I just looked up my Detour review about Albert Einstein and laughed – narcissistic perhaps – but anyone who writes a blog has a bit of that in them i think. Note to self – avoid seeing your reflection in a pool if you can. Autumn really is a food lover’s paradise. 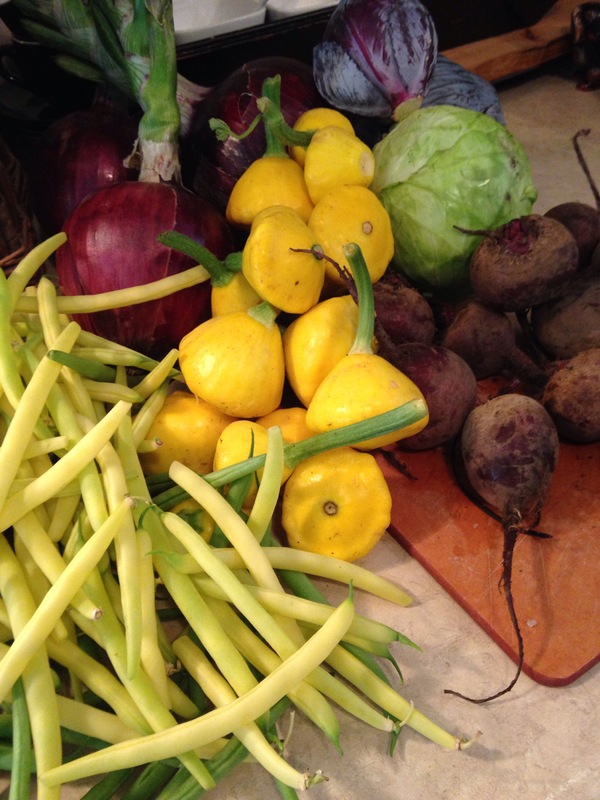 Consider this haul from the farmers market in Guelph last Saturday. Cornucopia indeed. Lake of Bays 10 Point is a nice, lightly hopped IPA – I love the pine aroma and the bite on the finish. 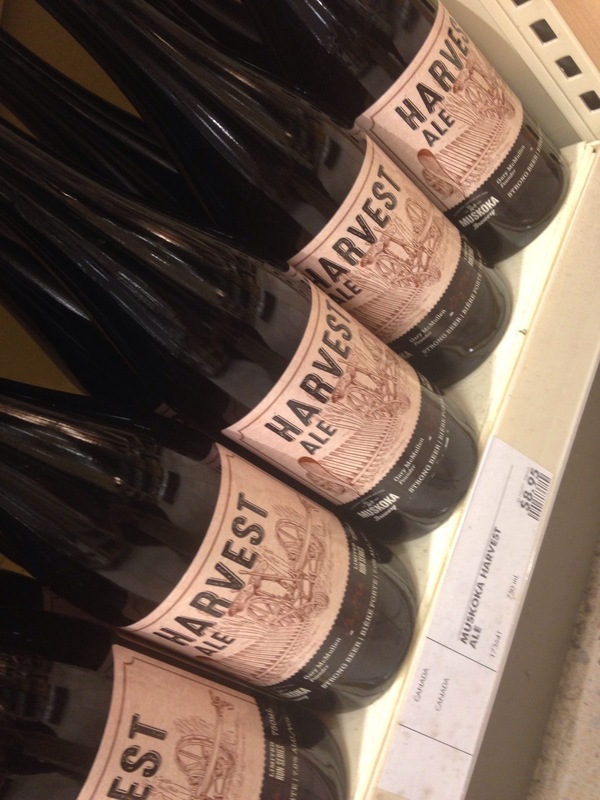 Muskoka’s Harvest Ale has been repackaged from the original orange label [in part because people thought that it was a pumpkin ale] but the recipe remains the same. If you hurry you may also catch a keg of Mash ‘n Pumpkins on tap at OX. Pumpkin pie in a pint glass with notes of spice and molasses – delic.